How are you? I’ve got a travel blogging piece coming up tonight. We’ve just returned from a little weekend break to the Lake District. It’s been ages since I spent time there for fun. My mum and dad took me on a family holiday when I was 16. There was no phone signal and I was a bored, grumpy teenager. Fast forward 14 years, I’ve refined my tastes, enjoy escaping people now and had 4G coverage meaning I didn’t miss any royal wedding coverage unfolding on Twitter. Bonus. Big news, I turned 30 on Saturday. As we’ve had our own version of a Royal Wedding this year already, we decided to keep the big birthday thing on the down low. I decided I wanted a mini break for mine and we’re away for Mr What Claire Did’s birthday. He’s 30 too. 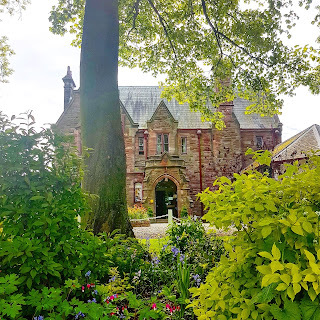 It's been a busy start to the year with various travel blogging adventures to The Dominican Republic from the beach to the city, and now this Glasgow food and travel blogger is adventuring again! So off we trotted to the north lakes this weekend. From Glasgow, it’s about a 2 hour drive – or a little less on a good run. The sun was shining, we had the tunes on and life was good! Our first stop of the day was my birthday treat. 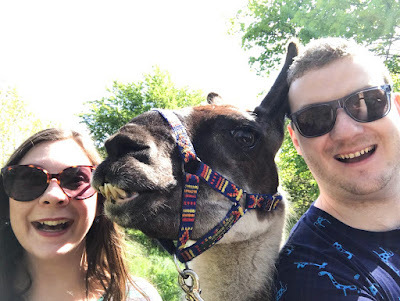 A trip to trek with a llama. Setting off from the Llama Karma Kafe, just 10 minutes from Penrith, we arrived had a cake and coffee and then joined our small group walk. Barney was our llama for the walk (I picked the biggest… typical) and we shared him between the two of us. The trek was more of a gentle meander up to the castle, which meant it was suitable for a range of ages and abilities. Barney was lovely, gentle, friendly and didn’t try to eat any grass on the trip. The walk lasted round an hour and gave us plenty of time to enjoy the scenery. 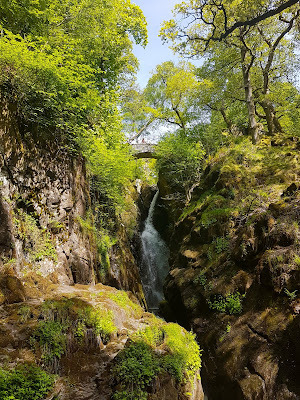 Next up, we headed off to The National Trust site of Aira Force, on the edge of Lake Ullswater. Make sure to have change with you. Its £5 for 2 hours parking if you aren’t a member of The National Trust, but it’s worth paying for to keep the area well maintained. There’s lots of lovely walks around the falls and if it’s a great day (like we had on Saturday) there are plenty of picnic opportunities. We were prepared and took a full picnic down the road with us. I’d also recommend B&Ms £4.99 picnic blanket with waterproof back – it was ideal for 2 of us to have a semi civilised picnic lunch! 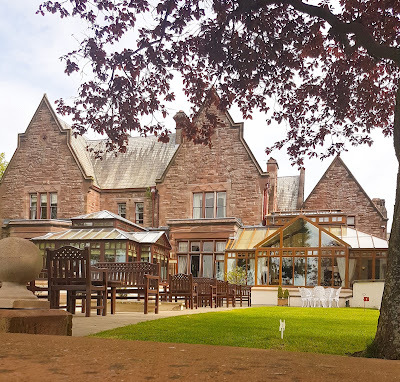 The highlight of our mini break was a DBB overnight stay at Appleby Manor Hotel. 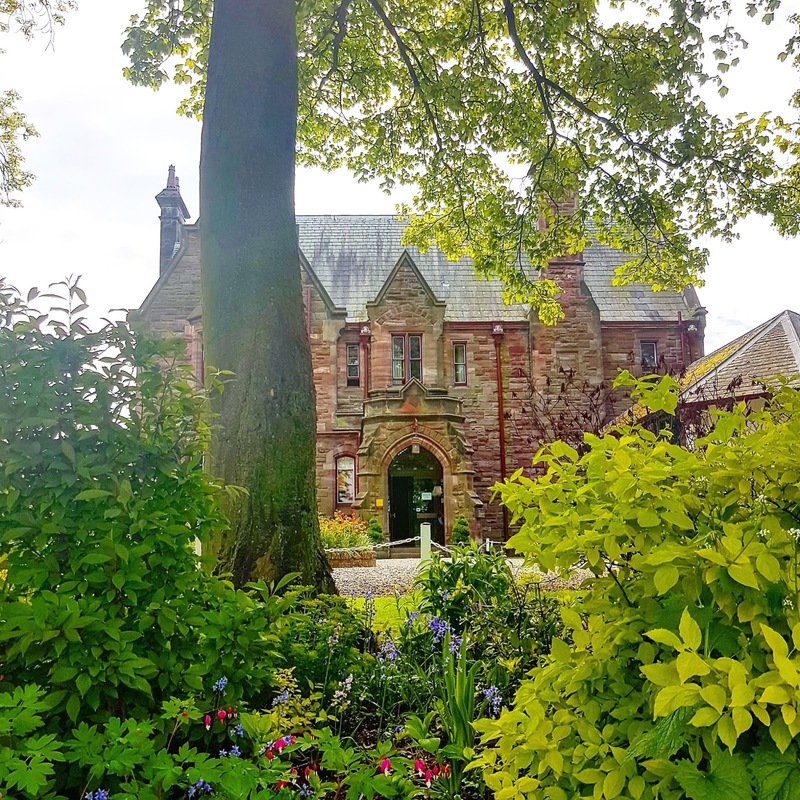 Tucked away, not far from the main road, it’s a lovely old manor house that’s been carefully extended, had an AA Rosette restaurant and a lovely garden spa that opened in 2015. We ended up with a buy a gift voucher which we chose to use at the hotel, so really, the trip didn’t cost us more than a couple of drinks in the bar and a massage at the spa (thanks husband). 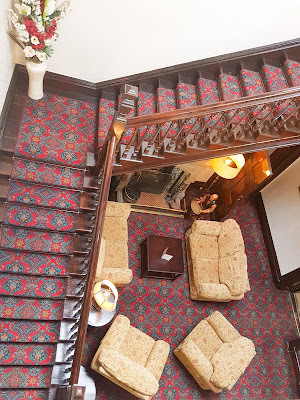 We had a classic room in the main hotel building which wasn’t the biggest, but was ample for our one night stay. The rooms are a little tired – you can see the hotel’s working through renovating its public areas. 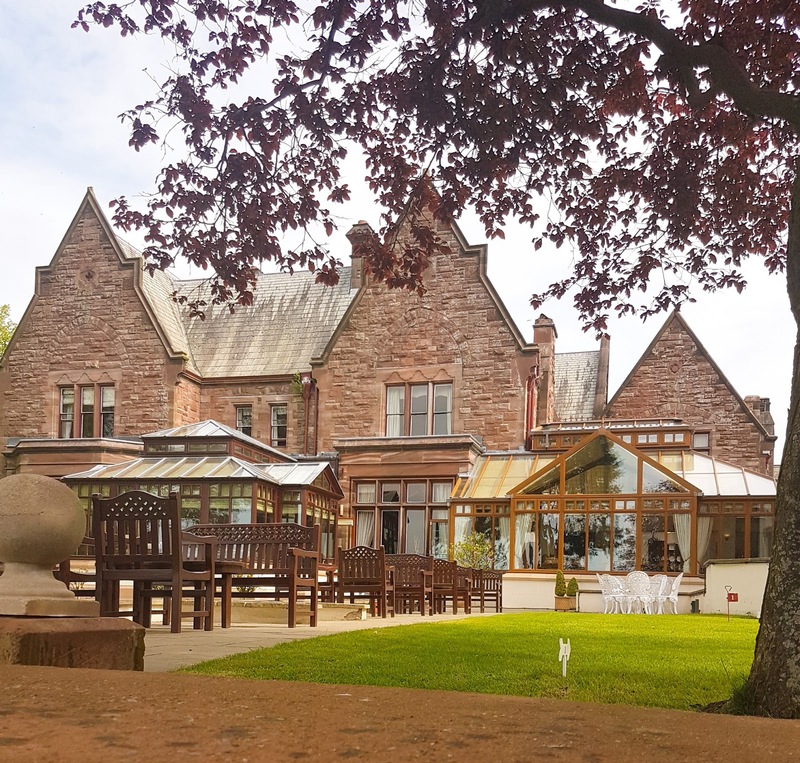 The spa was lovely, my treatment at £35 for a half hour back, neck and shoulder massage was well priced and it’s Elemis products they use, so quality assured. 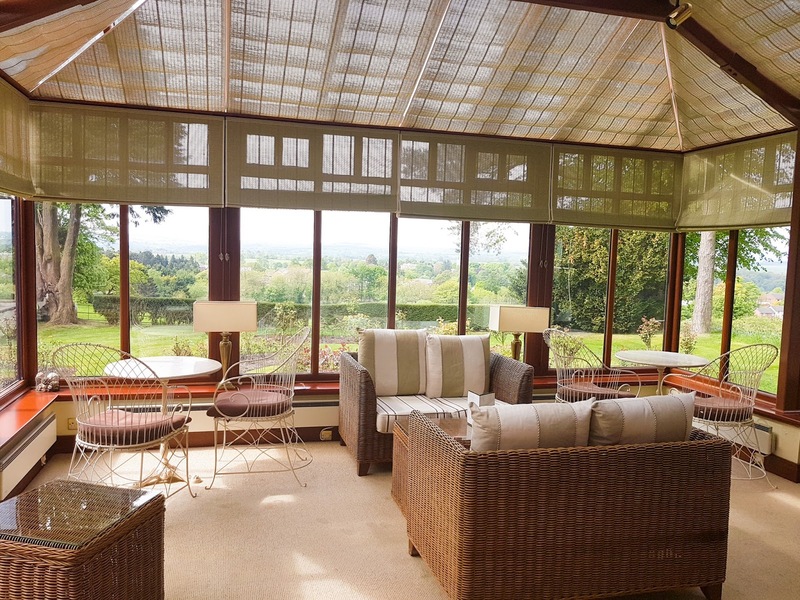 We had dinner at the 1871 Bistro – 3 courses and a glass of wine was included with our deal and both of us enjoyed the views to the hills beyond from the bistro’s conservatory. Food was delicious, well cooked and filling, whilst the glass of wine was a nice touch. We also tried these fabulous gin and Appletiser cocktails… so good we had a few each! We absolutely lucked out with the weather, so managed some drinks on the terrace before dinner, then after, sat in the conservatory watching the sun go down. The hotel provides board games for guests to entertain themselves (get in quick though) and there’s also a room with a table tennis table and pool table if you so desire. Breakfast the next morning was a lovely affair, served til 10am. We had a choice of continental buffet and ordering from the menu – as ever, I went straight for panics with blueberry compote and syrup… can’t help myself. All in, we had a lovely weekend break to the Lake District. Only 2 hours from Glasgow, there are loads of activities on the doorstep to get back to nature and enjoy the great outdoors! I really want to meet some llamas!